1. 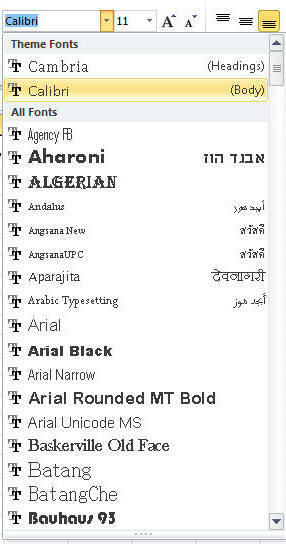 Fonts - click the font arrow list you will see: Note fonts available are dependent upon the printer. 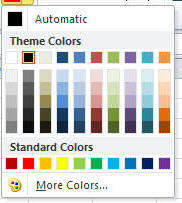 You can select a font group at the top or a specific font by scrolling. Select the font size you want. 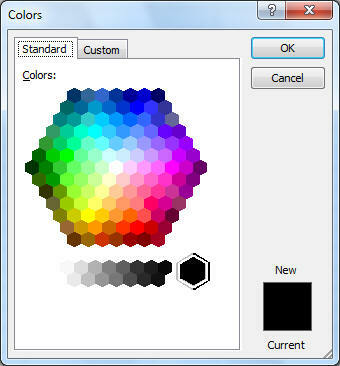 Create the color that you want. 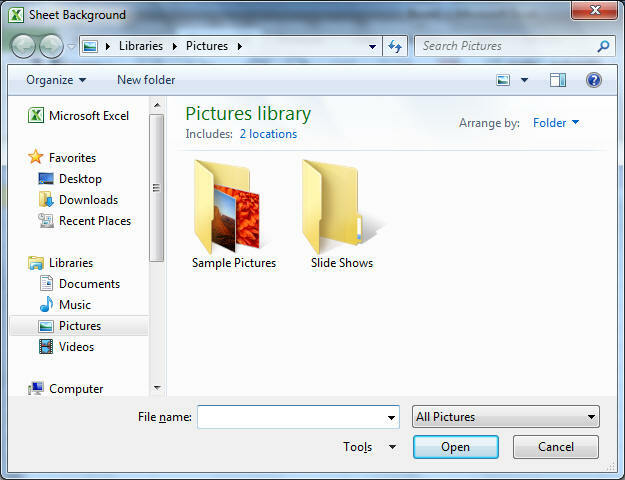 Navigate to the picture you want for you backgrund, select the graphic and click insert. a. align on top edge. 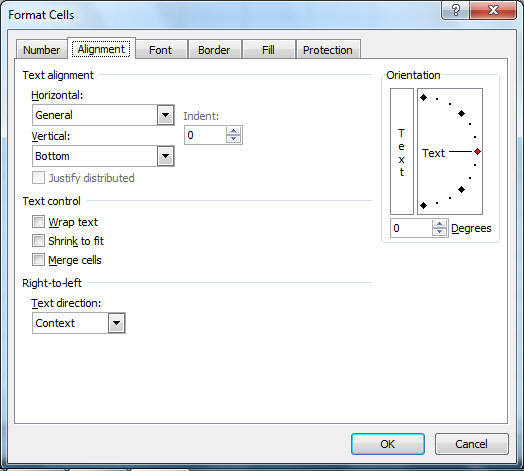 Here you can set the alignment option you want. Here you can set addional options. 9. 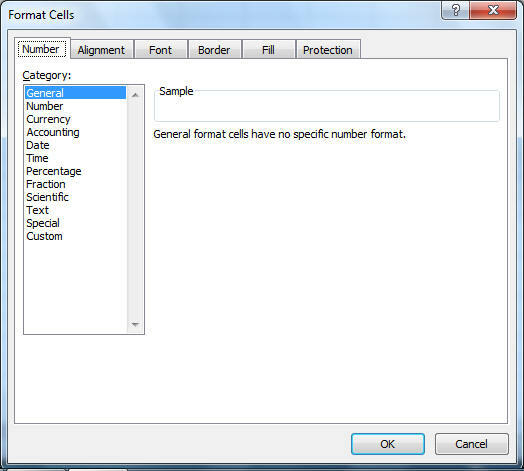 Copy and paste formats: Select the format you want to copy. 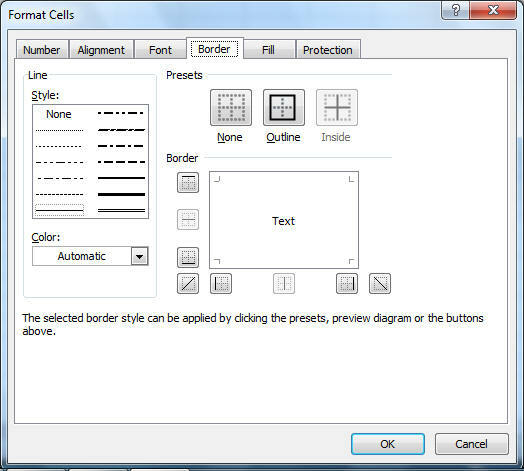 On the home tab in the clipboard group click the format painter button (one click allows you to apply the format to one object, double clicking allows you to paste the format to multiple objects). 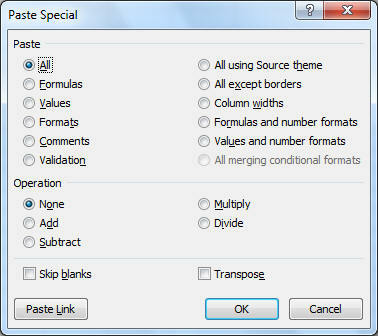 Move to the object(s) you want formatted, drag accross and release. 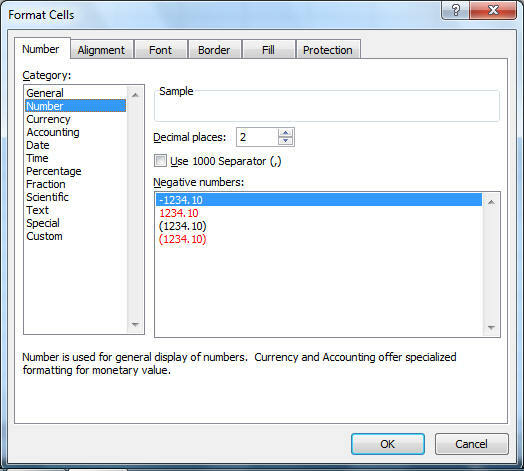 From here you can select to paste values and formats, paste only formulas, paste only the cell value, not the formula, pase only the format, not the value or formula.